Crab apples trees surround the Wild Birds Unlimited store in East Lansing, Michigan and attract a variety of fruit eating birds like the House Finches, Northern Cardinals, American Robins, woodpeckers, and today a noisy bunch of Cedar Waxwings! This year there isn't as much fruit left as other years but they are working through every berry in sight, even if they have to hang upside down to reach it. The photos don't catch the frenetic energy of the birds but I still had to share them because they are such lovely birds! 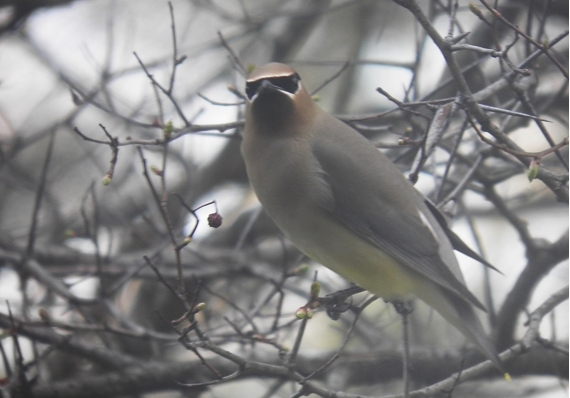 Male and female Cedar Waxwings look similar to human eyes. 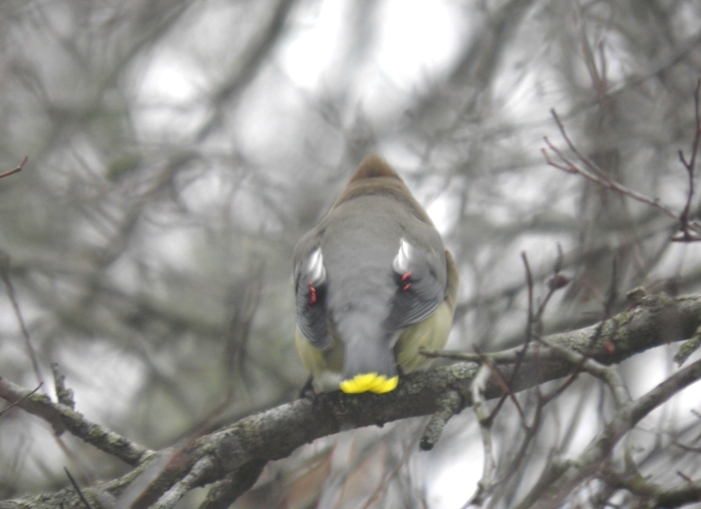 They are sleek grayish birds with a pale yellow belly, a black mask around their eyes, and a crest on top of their head. 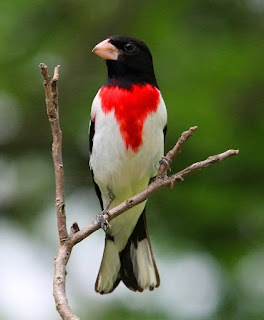 They also have bright red wax-like spots on their wings and a bright yellow band at the tip of their tail. The purpose of these tips are still unknown. 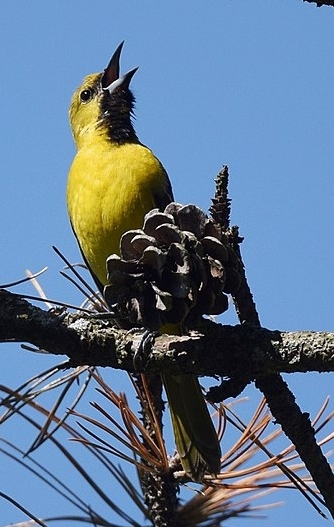 One study found older birds, had a higher number of tips, than younger birds. Both male and females have these tips and because they tend to mate with birds that have a similar number as them, it's thought it might signal to other birds their age and status to help find the appropriate mate choice. Waxwings are social birds that you’re likely to see in flocks year-round. They sit in fruiting trees swallowing berries whole, or pluck them in mid-air with a brief fluttering hover. You might hear the waxwings before you see them. They have a very distinctive thin, high-pitched warbled "zeee" or "zeeet" call that is hard to forget. If you've never heard what Cedar Waxwings sound like, click HERE to go to Cornell's Lab of Ornithology website. 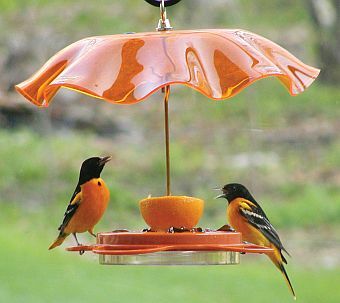 I set up my hummingbird and oriole feeders on the Wild Birds Unlimited store window anyway. I don't know why. I never see them before May but customers start telling me they have their hummers and oreos mid-April. So it's better to be ready and waiting than have them pass me by. While I'm waiting, I am enjoying the bubbly House Finches eating the BirdBerry™ Jelly and the cheeky chickadees drinking water from the ant moat. I also planted a few pansies. This is also probably too early. Officially frost free day for the Lansing area is May 15th. However a customer reported seeing a White-throated Sparrow last week. When I see the White-crowned and White-throated sparrows around I go ahead and start planting in the garden. If you've never noticed these birds don't feel bad, they are only in our area for a couple weeks in the spring and a couple weeks in the fall in Mid-Michigan. The White-crown breeds in the far north, in alpine environments and the White-throated breeds in northern Michigan and the Upper Penninsula as well as farther north. 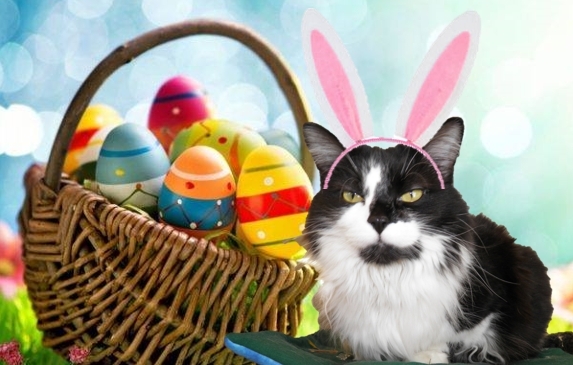 Dolly (cat) has been making little furry dust bunnies all month in hopes of attracting the attention of the Easter Bunny and it finally paid off! 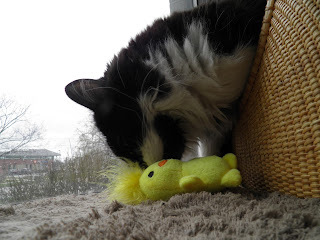 She was surprised with a yellow chick and lots of goodies. I am putting out my nectar feeders today in hopes of attracting the dazzling hummingbirds and orioles up close. 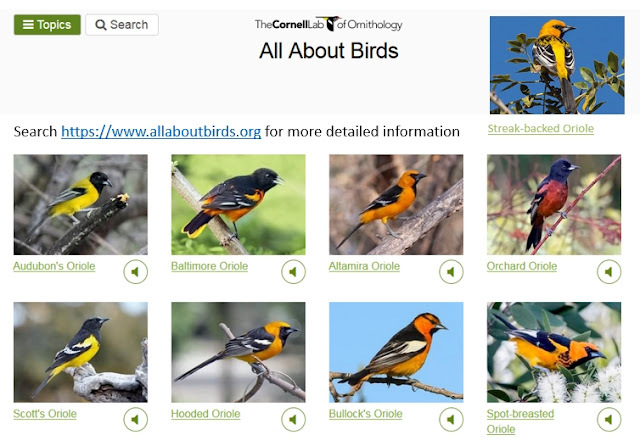 Two customers have sighted orioles already. Does the male or female chickadee build the nest? A nesting site is usually selected by the female. 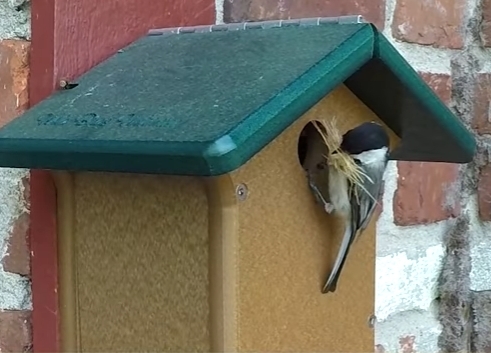 But both male and female chickadees help in preparing the natural cavity or bird house. Males follow the females around, sometimes offering food treats, as she collects nesting material. The base of her cup-shaped nest, is usually moss, pine needles and other coarse material. Then she cushions it with grasses and lines it with softer material like cotton or rabbit fur. Nest construction usually takes three to four days. Once it is finished the chickadee may wait a few more days before laying a clutch of eggs. They wait for good weather and also build up their energies. A clutch of six or seven eggs is an enormous drain on the female. The beginning of June is usually when you will see the results of chickadees’ first nesting. In some ways the Brown-headed Cowbird is a classic villain. They are dark, sneaky, and the females drop eggs in the nests of other birds for them to foster. The fast development, large size, and aggressive feeding behavior of these young cowbirds may overwhelm the chosen foster family, perhaps in some cases, to the detriment of nest owners own babies. But should you label them villains? They aren't necessarily evil or deliberately committing bad deeds. Objectively and unemotionally, cowbirds are amazing, smart, and resilient. Their reproductive strategy allows them to potentially produce many more offspring than the average bird. The real villains are, surprise, us. 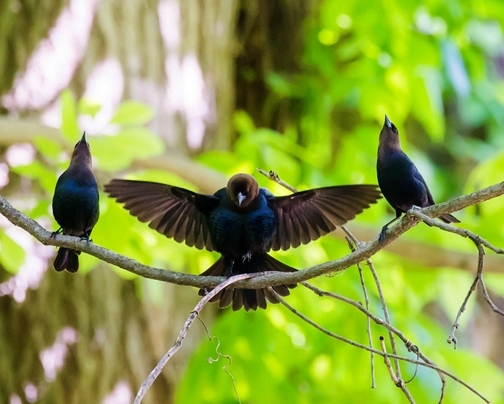 Human development of the land has caused fragmentation of forest habitat and resulted in a great increase in the edge habitats favored by Brown-headed Cowbirds, and a reduction of forest-interior habitats where they don’t like to venture. 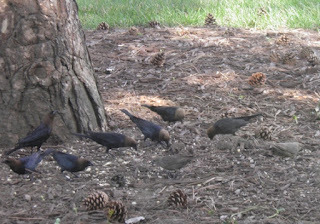 As a result, a number of forest birds' nests are now being used by Brown-headed Cowbirds at an increased rate. 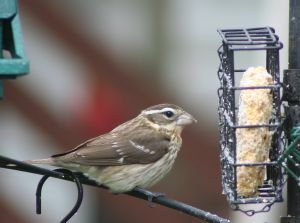 They are very common feeder birds at the beginning of spring preferring sunflower, safflower, suet, fruit, and nuts. I usually find them at my Wild Birds Unlimited No-Mess Blend or my Safflower Cylinder. As the bird establishes its nesting territory and the weather changes, over half of their diet is made up of insects. But they always are attracted to the water in a bath. 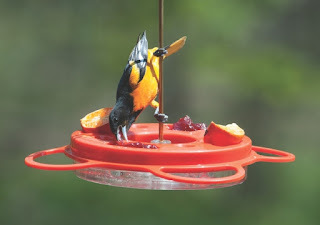 Yes, it's time to put out the oriole and hummingbird feeders! My mom asked me to bring her some BirdBerry™ Jelly. It seems she finished off the last bottle for her breakfast! I laughed at her for eating the oriole jelly but I've actually done the same thing. Compared to normal grocery store labels, you'll see that BirdBerry™ is an all natural product with no preservatives, no artificial sweeteners, and has low sugar levels which is better for birds. BirdBerry™ is made from Concorde grapes, and blackberries. 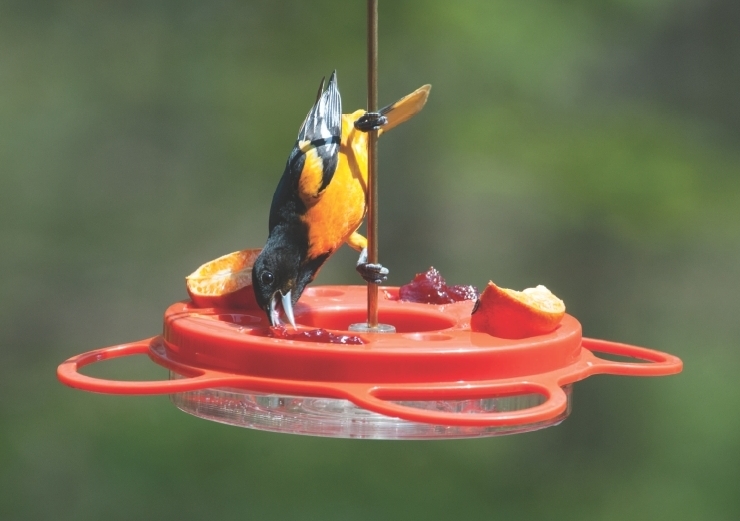 This yummy combination attracts orioles and keeps them coming back for the unique flavor. 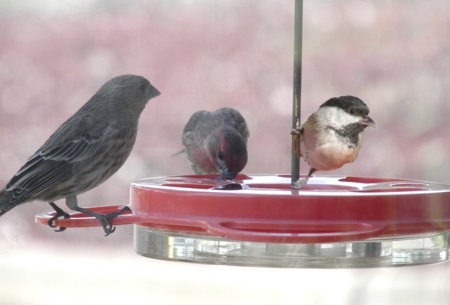 It's sooo good - You'll want to have "Breakfast with the birds!" BirdBerry™ Jelly is a human grade product that emphasizes quality. But even though it is better for the birds you should still limit the amount you place out each day. No more than a teaspoon a day for each bird you see. That way you give them a little quick energy and you can keep washing the feeder to prevent the growth of bacteria. Jelly can be stored in or out of the refrigerator. Color isn’t required. There have never been any scientific studies done to prove red dye harms hummingbirds, but they come to clear nectar (sugar water) so leave it clear just in case the red is bad for the birds. 1. Pour sugar in hot water. It's not necessary to boil the water. The microorganisms that cause fermentation don't come from the water; they are transported to the feeder on hummingbird bills. 2. Stir or shake the mixture until dissolved. 6. 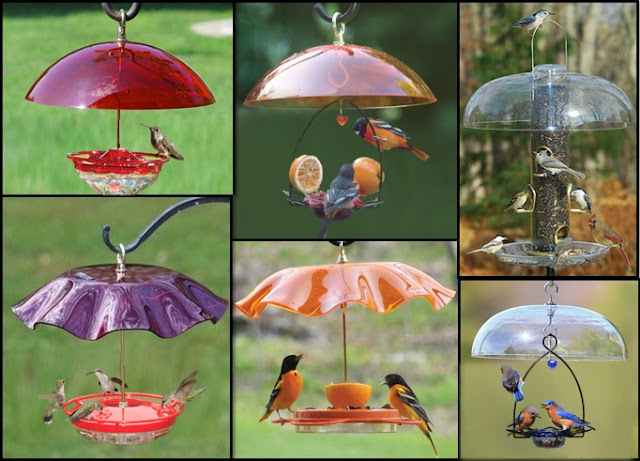 Be sure to replace the nectar and clean the feeder thoroughly once every three to four days. 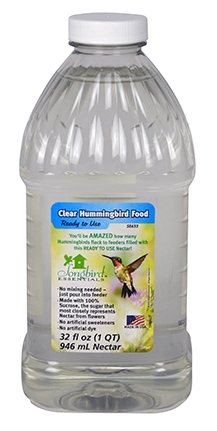 If you leave it out longer the sugar water could go bad and hummingbirds will boycott your feeder for a long time. 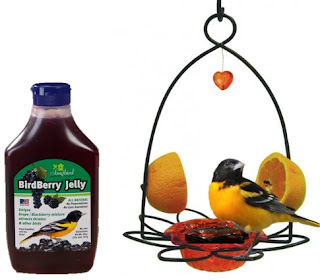 If you don't want sugar in your house or you want an easy to dissolve sugar Wild Birds Unlimited has Best-1 instant nectar. It doesn't have any coloring or preservatives. Or if you are recipe challenged we also have premixed sugar water. Yesterday I heard a long, low “KONK-AH-REEE”! outside the window. 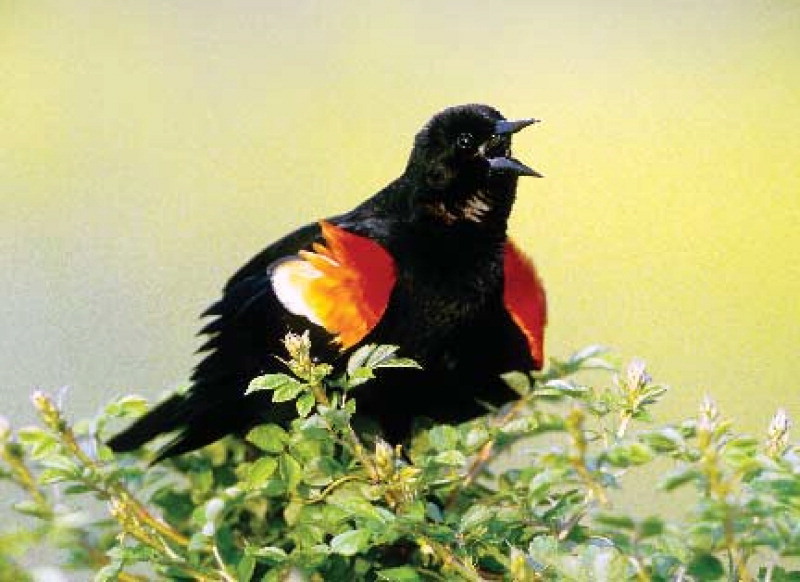 An impressive male Red-winged Blackbird puffed his brilliant red epaulets, hunched his shoulders forward and spread his tail and sang. This dramatic display was either to intimidate another male or to attract females. 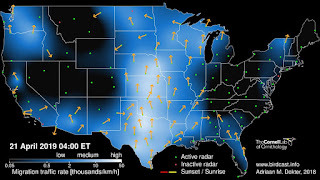 The males usually migrate back to Michigan mid-March and mid-April is when the females arrive. So I took another look out the window and sure enough a flock of females had arrived. About 15 female redwings swooped in with about 30 male and female cowbirds. They swooped in together, ate for a minute or two and then swooped off to perch in the tree. The male red-wings excitement and the fluid flight formations were fascinating to watch. This is probably the last week they will stay together in flocks. Soon they will break up to breed. 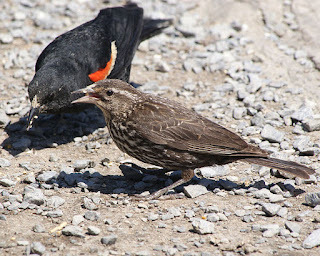 The cowbirds, smaller than the redwings, were also interesting. Many people dislike Brown-headed Cowbirds because they parasitize the nests of other birds. The female Cowbirds wander about, laying up to 40 eggs per season (April to June) in as many nests of different bird species as they can find. They lay one egg per nest, each day for about 7 days, then rest for several days before another egg-laying sequence. They occasionally check up on their kids while they are being fostered by other birds and teach them cowbird-specific behaviors to help with recognition of their own species. By late summer the flocking behavior begins again and blackbirds migrate back south for the winter. With at least twice the numbers of birds, if the nesting season goes well, I'll get to watch another display of avian air acrobatics. The undulating flock of blackbirds keep track of six of their closest flying neighbors, and coordinate their movements with them. No matter how many times they turn or dive, they maintain about the same distance between themselves and the six closest birds.